Enjoy the latest issue of OPALUS, themed ELECTRIC! A New fashion film now released on OPALUS! Issue 17 is now released! The theme is Tear Party, and we know you’ll love it! Read it now for free! A new fashion story by Ana Coello, now in our Photography section! Currently this role is increasingly disused, and women in particular, are looking for a man who shares emotions, feelings and is able to get into the skin of women. In this editorial we try to liberate men from long-established visual stereotypes, we try to let BOYS BE FEMININE. 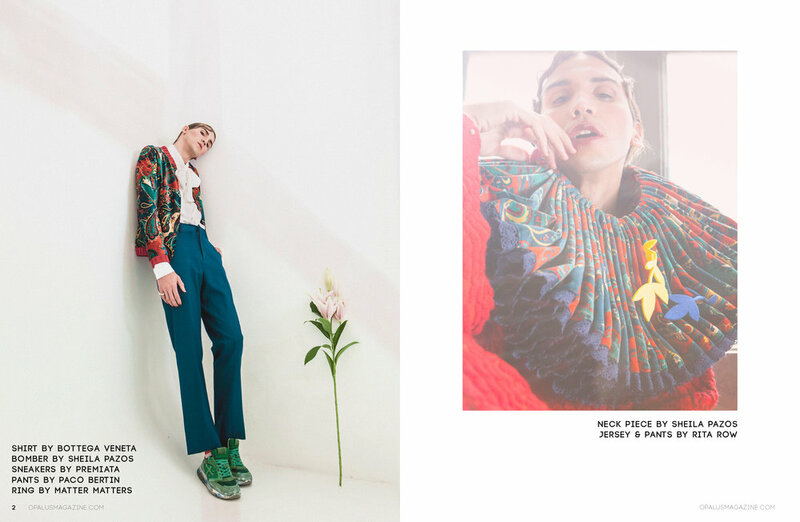 We are in love with this new fashion story, Chinese Collection, by Photographer Daisy Hsiang and clothing designer NINKI Clothing. It's moody, filled with beauty and a little competition. OPALUS IS 4 YEARS OLD! To celebrate our 4th year anniversary issue we have rebranded! We are still the same OPALUS you have grown to know: Beautiful, Dark and Quirky, featuring fashion and fine art! What's new, besides this new issue? We are now Bi-Annual instead of quarterly, bringing you a bigger issue, more content online between issues, but with the same beautiful, dark and quirky imagery we know you love! We are still submissions based, but we are looking for more collaberators to do specific projects for each issue. Please dive into our QUEENS theme issue, an issue where we celebrate QUEENS in their many forms! What type of QUEEN are you? A new makeup collaboration between Makeup Artist Rebecca Nantel and fashion image maker Malorie Shmyr. Follow us on Instagram to keep up to date with OPALUS! Comment on what you like, we would love to chat with you!